Kristin Hirsch thought up the idea of Lass Laugh, and Amy Gascon believed in this vision and wanted to help bring it to light. The community for Lass Laugh started building long before opening night. Line up of events. Make sure to check out the workshops as well! 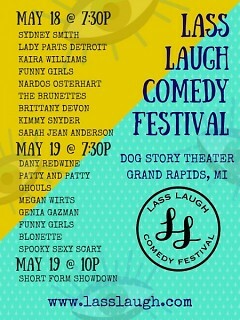 Lass Laugh Comedy Festival is coming to Dog Story Theater this May. 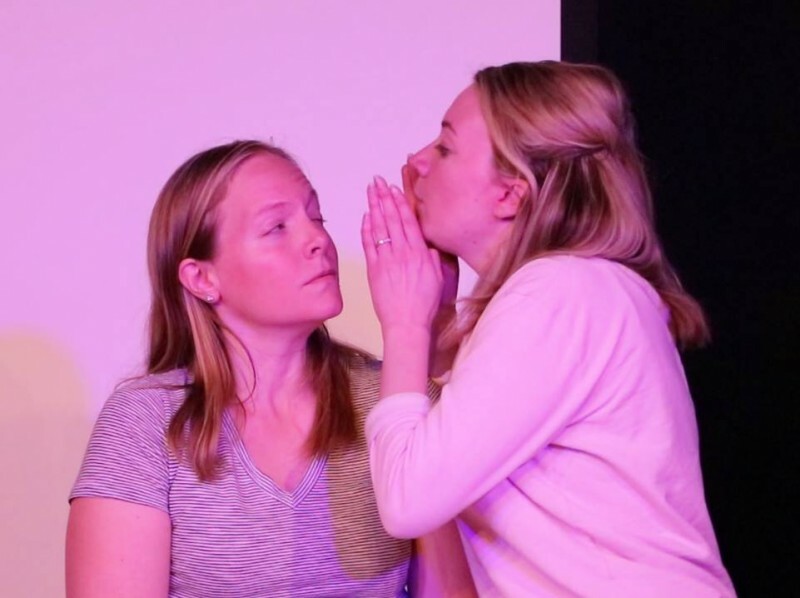 Organized by Kristin Hirsch and Amy Gascon, Lass Laugh is a women's comedy festival making its debut with a full weekend to kick off the talents of women in comedy. A fantastic lineup of female comedians from all over the Midwest will be performing Friday and Saturday nights, with workshops and special events throughout the weekend. Kristin Hirsch thought up the idea of Lass Laugh, and Amy Gascon believed in this vision and wanted to help bring it to light. 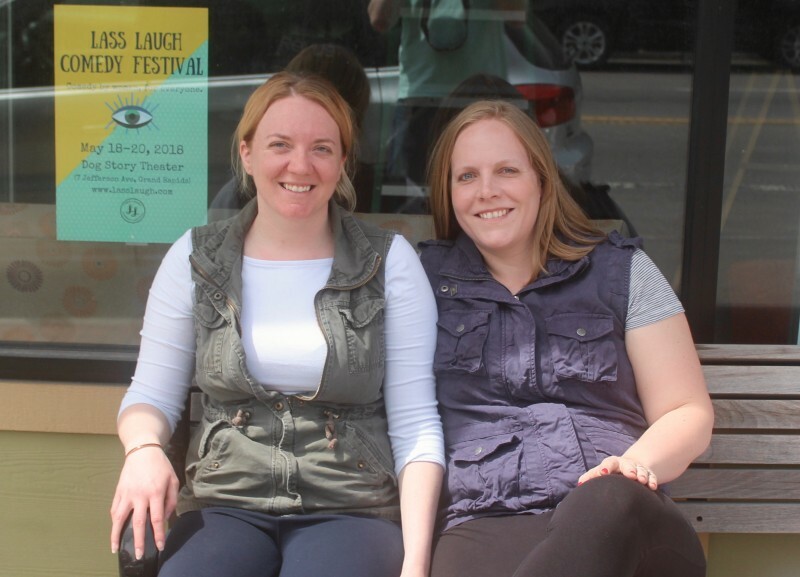 Both members of the Grand Rapids based collective, Funny Girls, Amy and Kristin had their own unique paths that led them to love comedy. Amy Gascon has been training and performing in Grand Rapids and Chicago for several years. She started doing open mics in the beginning, because she found this to be the easiest way to get stage time. Amy now focuses only on improv and sketch comedy. Amy teaches at the Civic Theatre. She is also a part of the group opening a new comedy and training center in Grand Rapids called The Comedy Project. They are working towards creating a community within the performers. They have created lineups that include local favorites and out of town performers so they can grow our comedy networks. In addition to this, there is an offering of the Shortform Showdown for Saturday night. This was designed so that individual improvisers could still participate in the festival without needing a troupe. With it being this festivals inaugural year, they are hoping that the community coming to support will leave with an understanding of why this festival is so important. 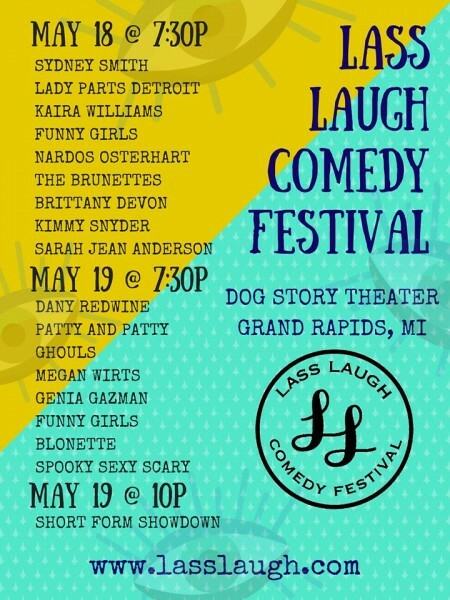 “I would love for Lass Laugh to be a yearly event that people look forward to, and that always celebrates both the incredible female comedians we have right here in Grand Rapids as well as eventually more nationwide talent,” Kristin shares. You can find a full schedule and tickets at www.lasslaugh.com.